Kind of what it says on the tin. 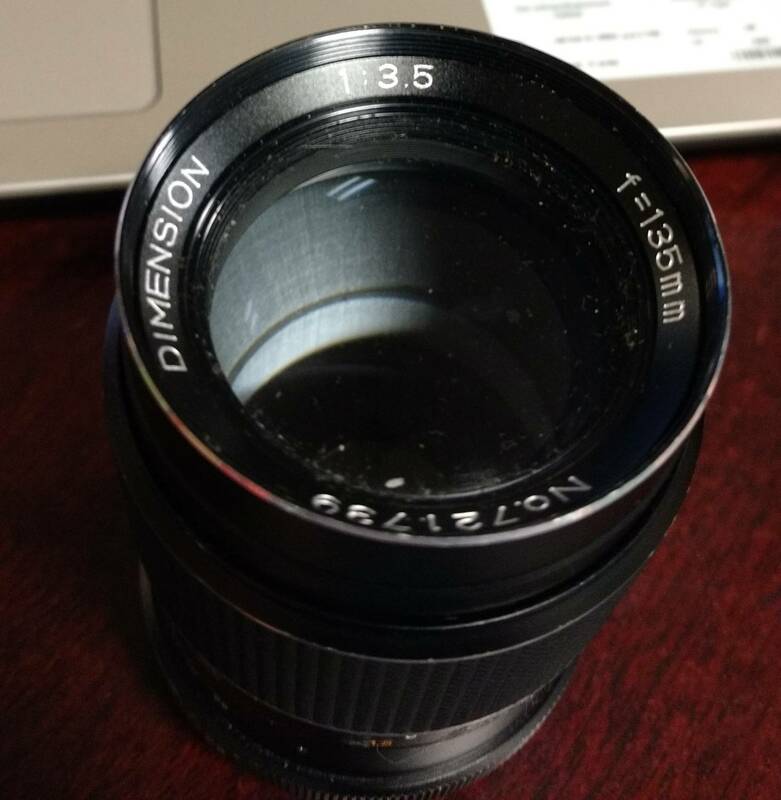 I got this lens, sans caps, as a gift from a friend (who doesn't really know photography). It's dusty but otherwise seems to be in decent condition, but I can't seem to find any information about it on the Interwebz. It's got a "clicky" (non-continuous) aperture adjustment, and an auto/manual aperture switch located at the base. 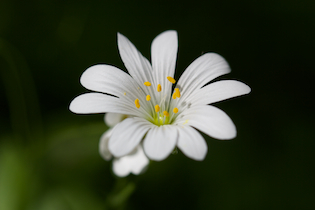 Minimum focus is 1.5m. Sorry about the awful quality — these were taken with my phone (I know, I know). EDIT: I've found a description for a lens that's an exact match for this one, but with Prinzflex branding. I wonder what company did the original design work? 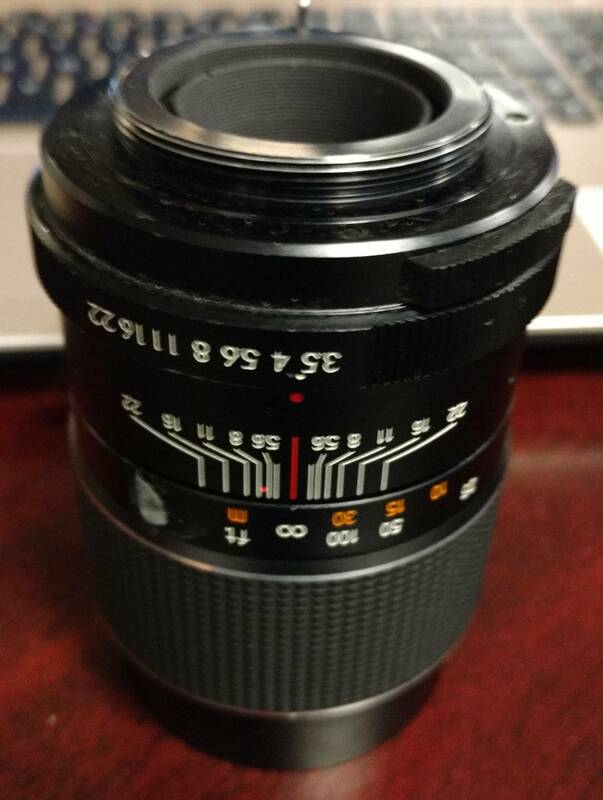 This thread at MFLenses Forums apparently covers the exact same lens model (it's old enough that a lot of the image links are broken). 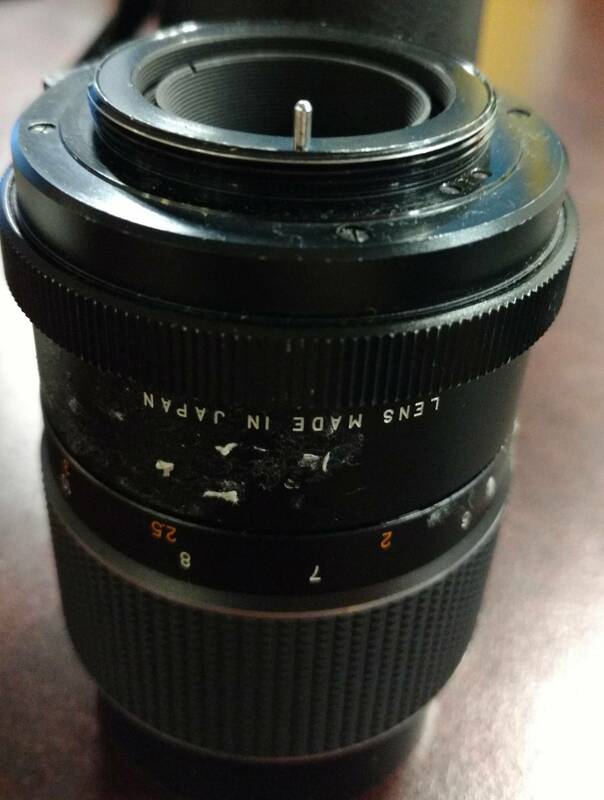 Apparently it's a very decent lens. Note: Michael Clark helpfully suggested to mention the similarity between the M42 mount and the T-mount. Both mounts are 42mm threads. The M42 mount has a 1mm thread pitch; thus, it's more fully specified as M42×1. The T-mount has a 0.75mm thread pitch; thus, it's more fully specified as M42×0.75. If the thread pitch doesn't stand out as an obvious distinction (it can be hard to tell the difference), another possible giveaway is the aperture pin: although Sigma's YS mount (which was based on the T-mount) had an aperture pin, many more M42-mount lenses had aperture pins than YS-mount lenses did. Of course, not all M42-mount lenses had aperture pins, so you're back to measuring thread pitch. Takeaway: make sure to measure the thread pitch before assuming M42. See also: the accepted answer to How do I identify unknown thread mounts? Not the answer you're looking for? Browse other questions tagged lens old-lenses equipment-identification or ask your own question.